Logan's school has an event called Dads and Doughnuts! Logan was SO excited to take Dave with him! 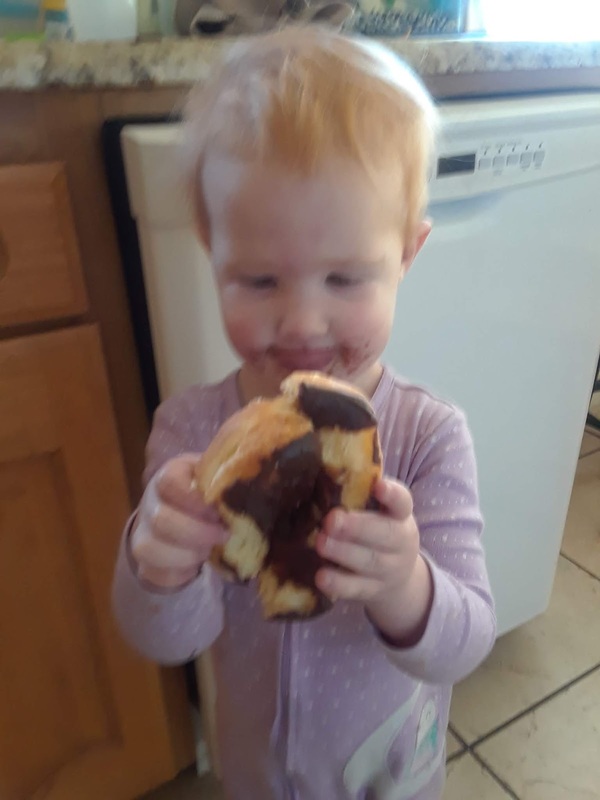 He would ask me constantly if it was Dads and Doughnuts yet. 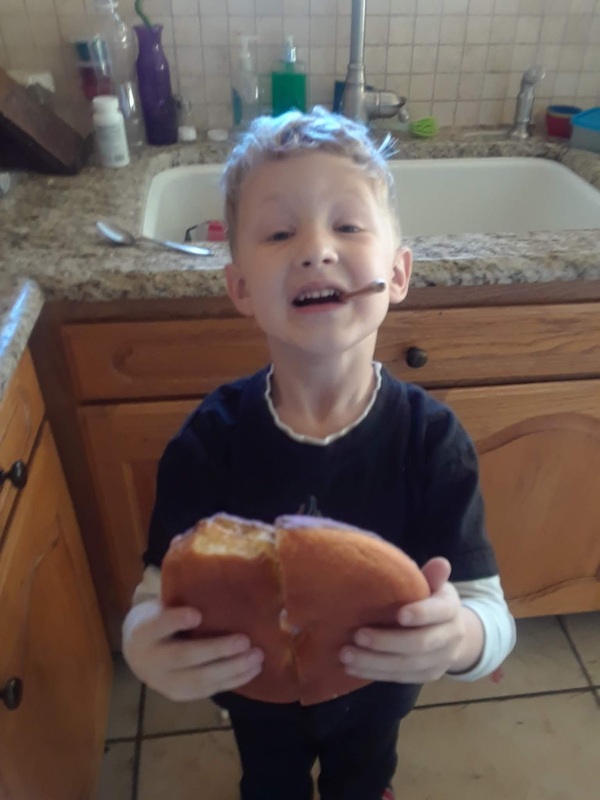 Dustin got a little jealous so when the day FINALLY came I took Dustin and Brooklyn to the store and let them pick out any doughnut they wanted. Dustin got a raspberry one as big as his face and Brooklyn got chocolate with sprinkles. Logan had a blast with Dave and was excited to introduce him to Tyson (his friend). 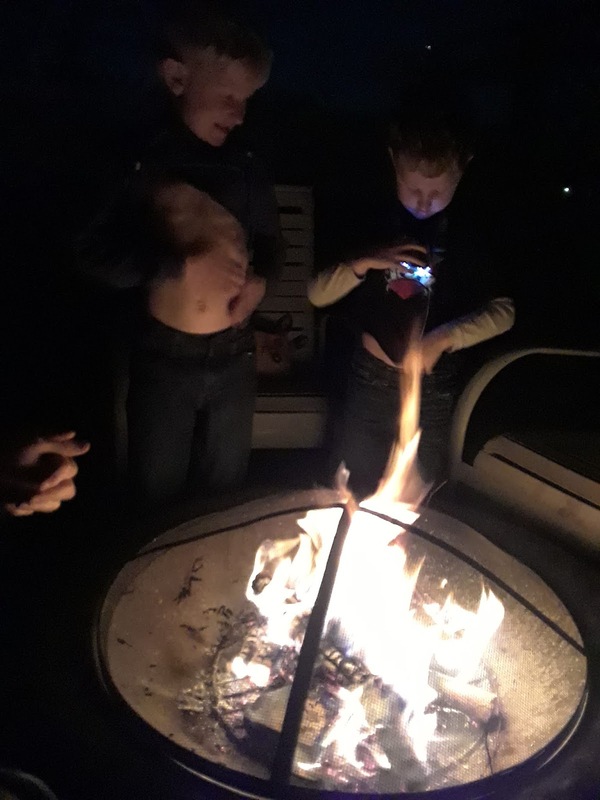 We had a few bonfires with s'mores in November since the weather was fabulous for the whole month. The boys would get too warm from the fire and instead of moving back, they would just pull up their shirts. It was great to get to enjoy the nice weather as long as we did this year. 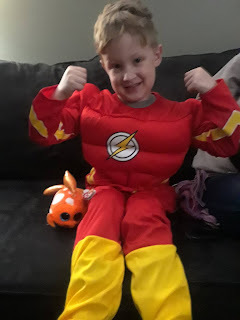 Dustin turned 5 in November! 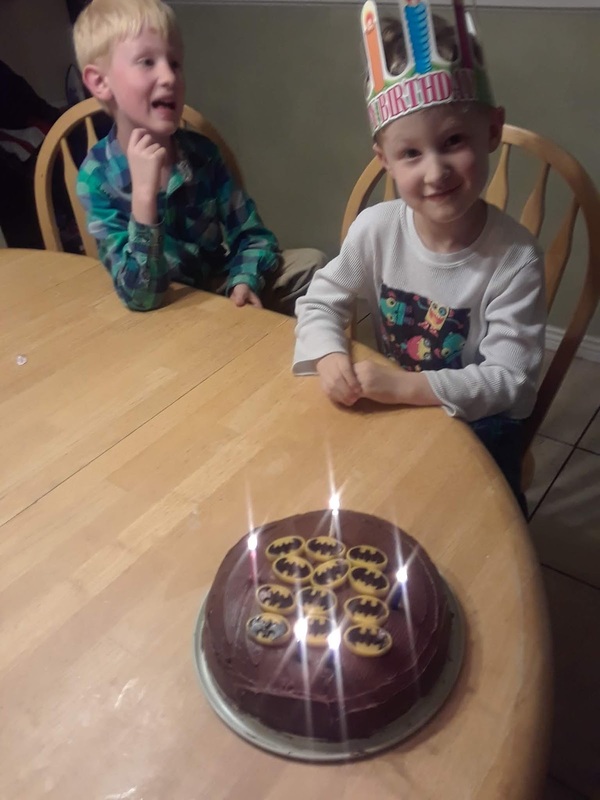 He was so excited to have a cake with Batman gummies on top. He had a blast on his birthday and wore his birthday hat from church around for about a week. 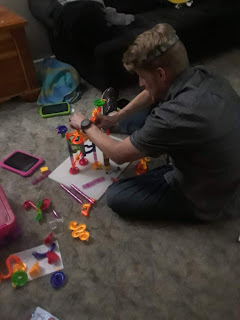 Dave Dustin got a marble run set for his birthday. Dave stayed up late building creations for the boys. More than once. Dustin is such a big helper lately! He loves his siblings and even though they fight sometimes. If anyone is hurt he is there to give them a hug and make sure I know they need me. If they are getting punished he is angry for them and tries to fight their way out of the punishment (even if they are being punished for hurting Dustin in the first place).